You ever have one of those times when you sit down to write and don’t know where to start? You see, for several days I’ve been pondering whether I should write an article celebrating the hardest-working authors I know… or, if I should write an article “ripping” the lazy-a*s ones. Since I’m out of time (and still undecided), I’m going to do both. That way you can’t accuse me of being negative. Plus, you need to see both sides to get the point. You’re going to be amazed how lazy some authors can be. I just hope you’re not one of them! Oh, in case you’re wondering… yes, this article was inspired by a true story. Several of them, as a matter of fact. It all started a few months ago when I recognized a troubling pattern with some of my 1-on-1 coaching clients. Some of them weren’t willing to do the work necessary to develop and market their books in the best way. and worst of the worst. Take it all to heart. One of my 1-on-1 author coaching clients (Cheri) hired me early this year to help her write an irresistible query letter and get an agent. She’s awesome. I took Cheri on because her book concept was clear and her writing was clean. She also had a “good-enough” promotional platform to get her foot in the door with agents, and she had a bubbly personality. When we started working together, Cheri had herself positioned as “Atlanta’s Stress Therapist.” She’d gotten some decent publicity. And her book was about helping people develop better habits so they could have less stress in their lives. I also learned that Cheri was the lead singer for a small girl (women) band that did a bit of touring years ago. 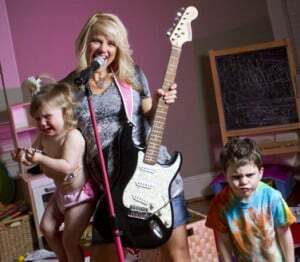 She still does some gigs from time to time, but not a lot because she’s also now the mother of two little kids. Everything was going great until our second phone call. We were just about to start writing a killer query when I realized there was a problem. Cheri told me, off the cuff, that her husband had been encouraging her to include more examples of businesspeople in her book. According to him, all the examples in her book were about moms. I was concerned, too (but for a different reason). Although Cheri was a successful therapist, and her book concept/content was solid, I knew she has some MAJOR competition in her category. You know, all those nice old guys with white hair and Ph.D.s… with years of impressive research, affiliations with Universities, lots of papers published, friends like Oprah, etc. I knew Cheri needed to change her entire book, business, and brand… if she wanted to get a top literary agent, publisher, and book deal. It came to me like divine revelation. I even got goose bumps. Even so, I figured it would be difficult for Cheri to hear. She gave me permission to continue. Surprisingly, Cheri didn’t scream (although I could hear one—or both—of her little ones going at it in the background). Instead, she took a deep breath (okay, a lot of them) and tried to hold herself together. Then she told me she was going to do it. Of course, Cheri took more time to think about it. She talked to her husband, friends, other moms, some of her clients, and a few strangers too. Cheri could’ve cried, complained, or attacked me. She even could’ve ignored me and sent out queries for the old book. But she didn’t. Instead she decided to do the work. Right now Cheri is in the process of redoing her entire website (she already had professional photos taken – see below – how cool is that)? She’s going to design a new logo and get new business cards. Plus, she’s writing new copy for her website, creating new keynote talks and workshops, and… yes, she’s going to rewrite her book. And she takes pride in her work. It also helps that the writing is flowing a lot more easily now… because she’s writing the right thing for her. I have to say that I owe Cheri a great debt of gratitude as well. She made me realize something about myself. I don’t like lazy-a*s authors. If you’re a lazy-a*s author (or if you’ve slipped into lazy-a*s mode recently), the only person you’re hurting is you. If you’re taking shortcuts (even though you might hide it well—or think you hide it well), the only person you’re hurting is you. Maybe you need to do one more rewrite. Maybe you need to cut some material because your book is too long (or maybe it’s too short). Maybe you need to hire a professional editor. Maybe you need to do more research. Maybe you need to write more. Maybe you need to send out more query letters. So, “man up” as they say and don’t be a lazy-a*s. Love your writing, respect yourself, and make it happen. And don’t give me your sob story about how your situation is different. Blah, blah, blah. I don’t want to hear it. 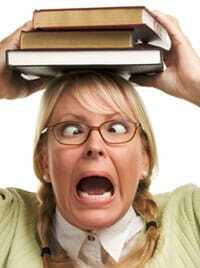 I’m your book marketing coach, not your therapist. You know when Cheri gets to write? When her kids are napping. Or, a few hours here and there when she has a babysitter and isn’t on the phone with clients. It’s sad for me to say this, but Cheri gets more done in a week than some people get done in a month. And they don’t have kids. I’ll do anything for someone like that. So will agents and publishers. I know, I’m probably just preaching to the choir. So… if you’re one of the faithful, getting it done no matter what, willing to do what it takes, awesome. Ugh. You’re right. “Lazy” is the excuse for scared. People (and people includes me, btw!) can give you many legitimate excuses for why they “can’t” do the work – but excuses are nothing more than gremlins in disguise. One of my new favorite sayings is “settle for more” – time to take my own advice. …My kids are going to Children’s Morning Out (they’re too little for school) 8 hours a week and I am seeing about 8 clients FTF a week. So, time is limited. A LOT more mom business in the works! This is who I am. Thank you. It’s been about two months. My website is little by little…I haven’t added the awesome coaching program you put together for me because until my nuggets go to summer camp, I frankly, wouldn’t have the time to take on a new client! My new logo and cards should be here within two weeks. Can’t wait! I have a BIG talk at the Center of Disease Control in June and an awesome workshop mommy series starting in August. Ya’ll have such kind words…good luck to all of you! Many need a wake-up call and your article just did it. I’m into my fifth rewrite and I discipline myself to write every day. It’s true when you love your writing, it doesn’t feel like work and you want it to be perfect. Having been a writer and editor on magazines where I had to work late to rush for deadlines, I’m used to it. At the end of day, there’s a lot satisfaction knowing you did your best for your manuscript and it increases your confidence level in getting an agent. I’ve never understood why people settle for less than the best – even though it might take more time in the long run. There’s an enormous amount of personal satisfaction in knowing you’ve performed or written as best you can. Sorry to persist, but I’m surprised any author balks at rewrites. I started my first book on an electric typewriter. Changing a word meant retyping the whole page. A paragraph change would require retyping the chapter. A chapter change could necessitate retyping the entire manuscript. I did that so often I lost count. Today, I can’t resist making changes that improve the books even a little, because on a computer it’s so easy! Published POD /eBooks can be revised at any time, and I do that, too. When I was a weekly newspaper editor, I covered Tues. night council meetings til midnight, wrote the articles til 3 am, pasted page layouts, shot film of the pages, drove 70 miles (often in snowstorms) to the printer, waited for the printed copies and drove them back, attached 3000 labels for postal delivery, dumped them all at the PO, went home for a late meal and short nap. Did that 3 weeks per month for 10 years. Today I work 16-hr days because I’m conditioned. But I still can’t market books! Cheri is not only a positive worker/writer she is an inspiration. She has accepted and realized her ideal market place, with your help. I agree that we need to write about what comes naturally. I found that to be the case with my book, currently with the editor. I did call him and ask him if I had gotten lost in the mix. I had, so now I think we are both pushing forward. I wouldn’t actually put myself in the lazy category, even though, sometimes I don’t get a lot done. When I do get the time to do writing stuff I blast stuff out. Sometimes it’s more about time management. I keep myself moving forward, even if it’s only in baby steps, and that’s good enough for me. At least I’m moving forward! LOL I would love to get to the point where I’m turning out 10-12K a day again. It does occasionally feel like I’m procrastinating, or circling around something, unable to just plow ahead — like now — but sometimes I find that there was something going on beneath the surface, something that needed to fall into place, or something I had to uncover. Of course I don’t find that out unless I keep plugging away at it. Thanks for the kick in the A!